•CK Technology offers different types of Pop Ups: CKP2, CKP3, CKP4 and CKP5. 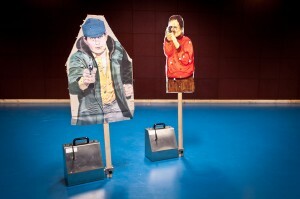 The most usual type of targets for firearms training! 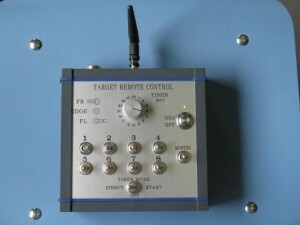 • Control unit: through handheld remote control, computer or tablet PC. • Can be used as pop-up or turning target according to the position of the cabinet. • Can be used as pop-up AND turning target simultaneously. This system does not require a control unit. The movements are triggered by movement or pressure sensors. • MASTER target: reacts to the impulse from the sensor (directly or after a delay). •SLAVE target: reacts only once the MASTER has been hit or has gone back to its prior position. This system matches the military standards for outdoor training targets. • 2 targets are mounted on a stable and robust frame. •The targets are independant one from the other and can combine the turning and pop-up movements. 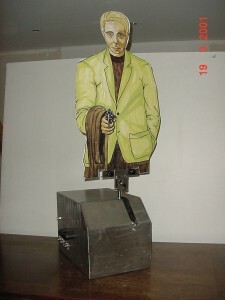 • The system can move targets weighting several kilos.